NAC Foods Co. of New Jersey announced a product recall of its Arnica Stem and Flower products on March 22. The products are under the Mi Pepito brand and were recalled because information that is printed regarding its usage was found to be erroneous. The company initiated recall was made after NAC Foods received feedback that a customer raised concerns regarding the usage information that was printed on the label. What is currently printed on the spice’s retail pack says that the product is used to enhance flavor. What should have been printed is that the product should be used externally only. 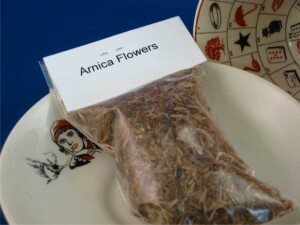 NAC Foods is a company that packs various chilies and spices, including stems of and flowers of Arnica. Arnica can be unsafe when consumed in large amounts and thus has stopped packing and distributing Arnica since the 1st of March. Since the time of recall, there have been no reports of related health problems. The recalled product was distributed and sold in retail stores in the areas of Rhode Island, Pennsylvania, New Jersey, Connecticut and New York. The recall is limited only to Arnica Flower and Stem Arnica and does not affect NAC Foods’ other product. Customers who were able to buy the product are advised to return it and they will be given a refund. They can also contact NAC Foods at 201 592 8920, from 8:30 AM until 6 PM Eastern Standard Time, Monday to Friday.